If you’re like most companies, you have attempted dozens of change initiatives which fade into the sunset without sustained benefit. 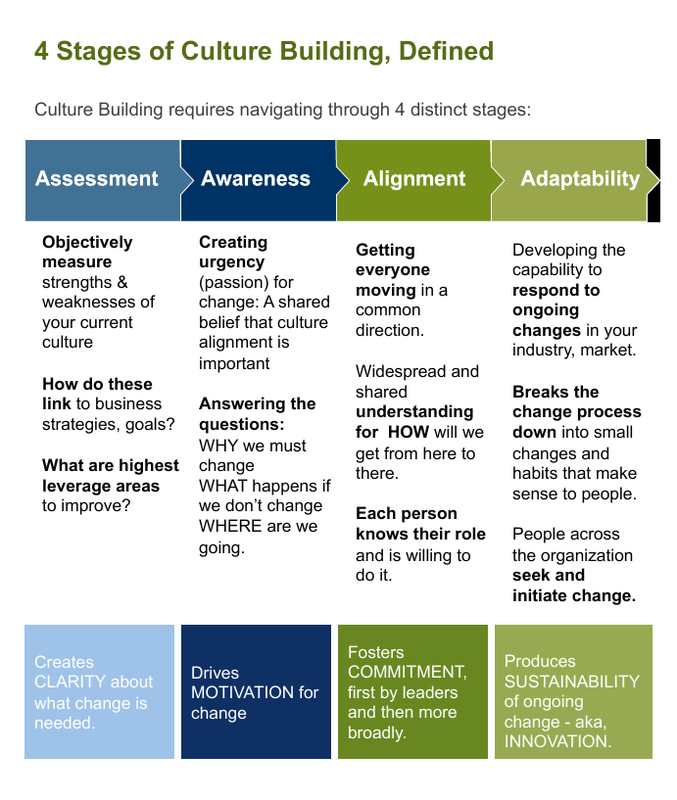 Studies show approximately 75% of change initiatives fail to produce the expected results. Worse, often the result is greater cynicism and increasingly dysfunctional ways of working among masses of confused employees. This happens when the underlying systems and structure of “how work gets done” were not addressed. Corporate culture really does matter, and changing it is simpler than you think. Begins with the business results you are seeking to achieve – what’s the strategy that will help you win in your market? Customizes our process to your needs, to align culture with your business strategy. 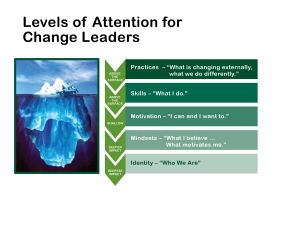 Teaches your team how to sustain an ongoing culture change process. Ensures you can measure the business-culture link over time. HOW IS YOUR CULTURE SUPPORTING PERFORMANCE? We begin with an assessment to specifically diagnose your corporate culture and identify the top areas to link culture performance to better business performance. CREATING A ROAD MAP: Corporate Culture Pro’s will show you how to customize a specific culture plan that meets your company’s goals, based on 14 years of experience leading culture change and five culture practice areas as proven shortcuts to ignite a high-performing and change-friendly culture. Many growth efforts fail due to complex, programmatic, or unrealistic initiatives that do not easily integrate into the day-to-day work of busy people. We focus on small change– simple habits that make a visible difference, and easy to adopt tools that immediately help people and teams reduce conflict and improve productivity. We work with each client in a unique way to co-develop methods that drive business performance and sustain ongoing adaptability and change. We ensure you learn what you need and can implement the road map we build. We define performance measures that leaders need and build programs that achieve them. We understand that happy, engaged people are important; so are business results. You don’t have to choose between them. Learn more about how culture impacts your business. See results achieved by our clients using our corporate culture change methods.